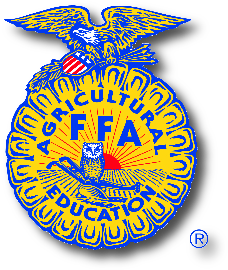 Welcome to the official website of Middletown High School FFA in Middletown, Maryland. Visit us often for the latest news, events and updates. We wish to thank our community for their continuing support–through donations, participation in our fundraisers, encouraging words, enthusiasm and assistance. Learning to Do. Doing to Learn. Thank you for supporting Middletown FFA! Activity Calendar is on menu above. Keep up with all the latest activities, includes print option. Attention members: If you would like to receive information and reminders about the happenings of the Middletown FFA Chapter, just text (240) 288-1805 with the message @mhffa. Parents and volunteers, keep track of your volunteer hours at school or on a MHS volunteer log from the mail office. Please remember that all volunteers and visitors must sign in at the front office before proceeding to classrooms. Students and Parents–missing a form or permission slip? Use the secure Forms Page to find what you need.